Last October saw the release of the ground-breaking IPCC report on climate change from the scientific community, which revealed the stark difference between a world where we don’t act enough to curb dangerous emissions trends, and one where we do and keep temperature increase globally below 1.5 degrees Celsius. In response to this urgency, the Climate Coalition is celebrating the Climate Change Act’s 10th anniversary in November by asking MPs to help Climate Change Coalition create a future where the UK no longer contributes to climate change. 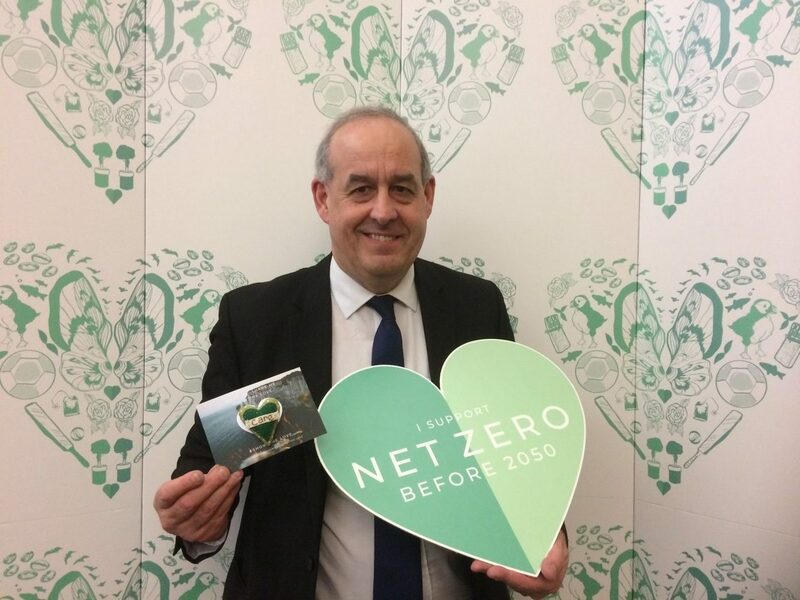 This means the UK must reach a net zero emissions target by 2045 at the latest and this needs to be set in law. I know that the local Women’s Institutes in Mold and Northop Hall have joined with the Climate Coalition’s excellent initiative to see our emissions reduced to zero by 2045. I am pleased to join this campaign and will do all I can to secure legislation that reduces our nations emissions. Climate change is the biggest threat facing our planet and we need to redouble our efforts in tackling CO2 emissions. Delyn has become a hub for offshore-wind technology and I want to see us build upon those successes. This means that we need a UK Government who sees the need for renewable energy as a major priority. Thankfully, we have the Welsh Government who is investing in renewables. They need greater support from the Westminster Government to deliver new tidal lagoon technology and expand our offshore capabilities. I will do all I can in Parliament to ensure that this happens.